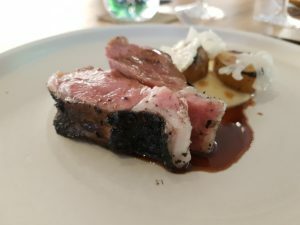 Eating at three restaurants with a combined five Michelin stars is perhaps de rigueur for those such as Andy Hayler, but it was quite the run of excess by my standards. Having experienced the highs of Les Amis and the relative lows of Shisen Hanten, I wasn’t quite sure how one-star Meta would match up. Credit goes to the Twittersphere where Craig Thomas made the suggestion that Meta was worth a look at a time when I was looking for somewhere to book a final lunch in the city ahead of my evening, through-the-night flight to Melbourne. 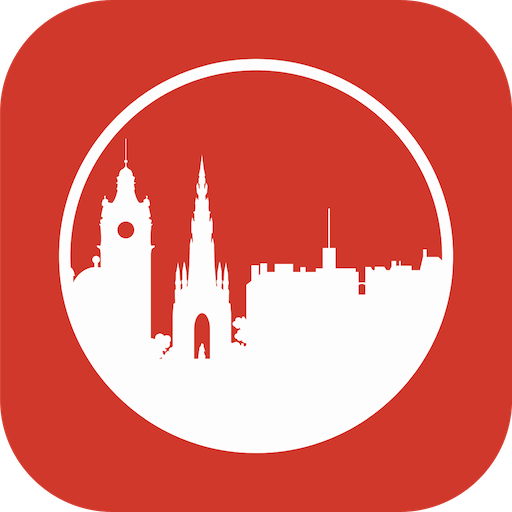 Meta has apparently just moved venues and is now at the heart of a street jam-packed with tempting looking places. I had a joyful amble round the neighbourhood before crossing the threshold. When I did I was greeted in most friendly terms and shown to a seat at the bar from which I could survey all of the operations of service. As I said to the head chef at the end it was a joy to behold. 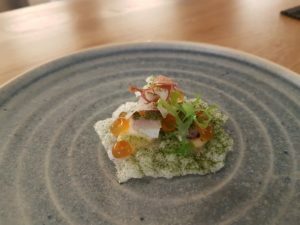 At lunchtime they offer a lunchtime menu of three courses for around S$70 or the full 5 or 7 course seasonal tasting menus. I was taken by the lunch list so opted for that adding their signature Irish oyster for good measure. 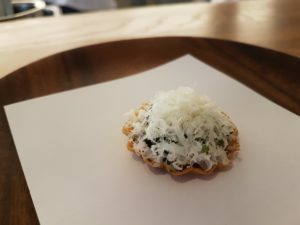 I added a wine with each course which given this high Singapore booze premium made the overall bill a little more pricey than if you visited and had a more modest approach to lunchtime drinking. I’ve been served in quite a while. 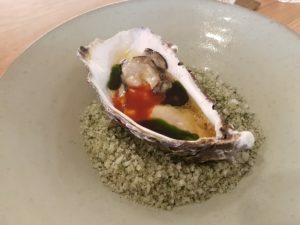 Next I had their ginger and gochujang topped Irish oyster with a glass of house Champagne. This was a splendid opening bite and a really good punchy topping to a rock-pool fresh oyster. 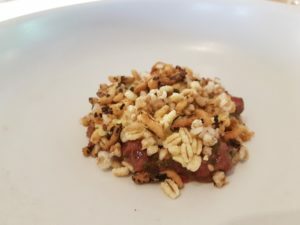 My next dish was wagyu beef tartare topped with a puffed buckwheat and barley crumb. With a Korean bulgogi dressing, this was top quality stuff. From the first bite I didn’t want the dish to end so ate it at a snails pace to enjoy every mouthful. The main was rack of lamb with mash and pickled cauliflower. The lamb had an excellent char encasing beautifully moist and lightly cooked flesh. The accompaniments were first rate. Dessert brought together chocolate with spicy gochujang into pleasingly sweet and tingly bites. 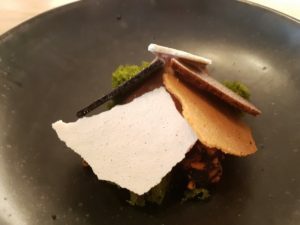 With sugar brittle and crunchy bites of wild rice, this was hugely accomplished, multi-textural joy. So overall, Meta brought down the curtain in fine style on an excellent few days in Singapore. 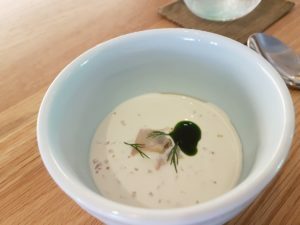 The food here was all very carefully considered, prepared with considerable attention to detail, and just so completely joyful. I’d strongly recommend it to you as a top quality place to visit on your next trip to Singapore.